Theodosia Mansfield of Horningsham, Wiltshire. Born 1862. Theodosia Olympia Mansfield was born on August 25th 1862 in Horningsham, Wiltshire, England, to parents James Pearce Mansfield and Mary Anne Perryman. Her father was the minister of Horningsham Free Congregational Church, the first Free church in England. In the 1881 census she was described as a Teacher in English and French. At some point she became a governess to a Catholic family and must have been so impressed by their faith that she joined the Catholic Church. 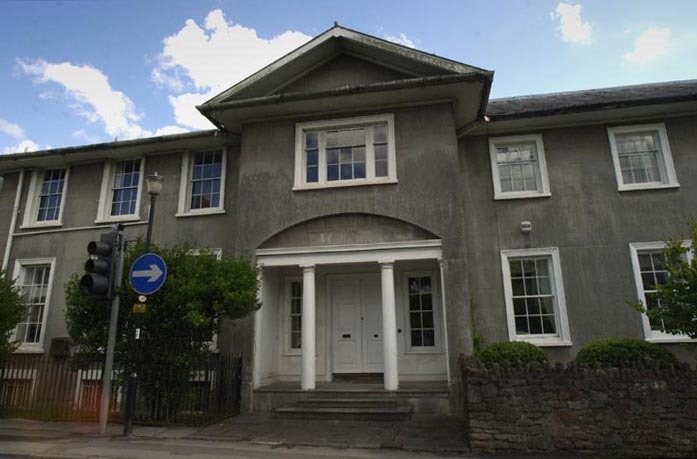 The census of 1891has an entry where she is living as a boarder with John and Lavinia Carley at 5, Summer Hill, Frome, Somerset which is only a few miles from Horningsham. Later, Theodosia decided to devote her life to God and entered a Carmelite Convent in Wells, Somerset where she received the Holy Habit on November 21st 1896 and was given the name of Sister Mary Angela of the Holy Family. On the 23rd of November 1897, aged 35, Sr Mary Angela was examined by the Bishop of Clifton and it was decided she should be received for Profession. "This happened at 7.15am on the 31st May 1898 at the Monastery of Saint Joseph and Teresa Wells in the hands of the Rev. Mother Mary Catherine of the Immaculate Conception, Prioress to the said Monastery with the express leave of the Right Revd. William B. Brownlow, Bishop of the Diocese of Clifton, in the presence of the Community." Above...an extract from the Profession book. 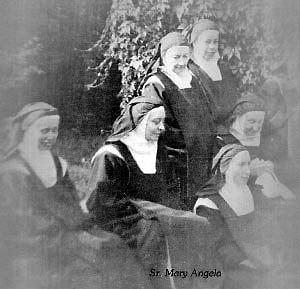 On February 26th 1925, after the death of the Mother Superior, Sr. Mary Angela was elected Third Discreet and became Mother Subprioress. Theodosia died in the monastery at 5.50am on August 23rd 1937 just two days before her 75th birthday and was buried in St. Benedict's cemetery, Downside Abbey, Stratton on the Fosse, Somerset. Notes: The Wells Carmel amalgamated with the Carmelite Community in Darlington in 1972. The Wells property - Mount Carmel Vista, 11 Chamberlain Street was sold although part of the house was left for the diocese which they have used to enlarge the church, the remainder becoming flats.